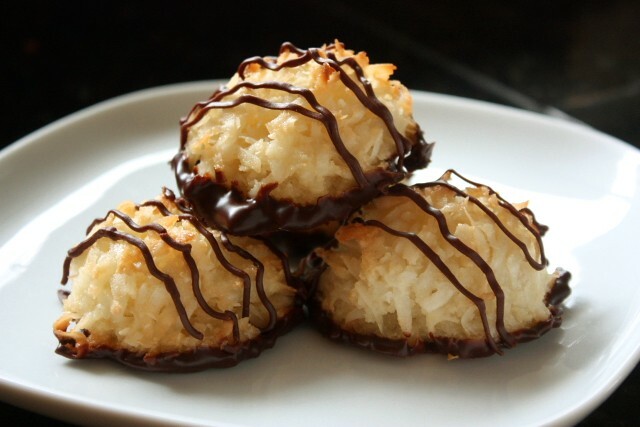 Traditional coconut macaroons drizzled with chocolate ganache. 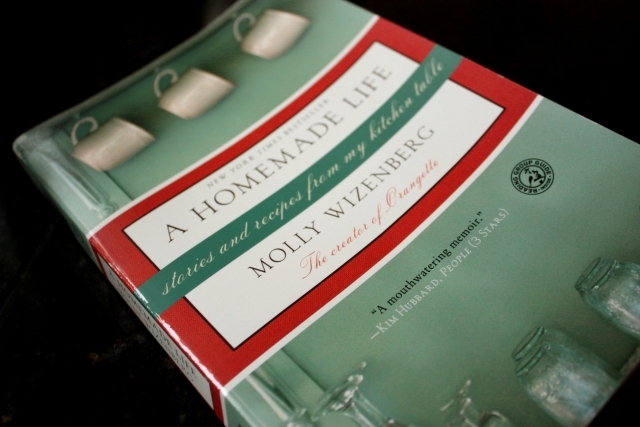 One of my favorite books I read last year was A Homemade Life by Molly Wizenberg, the author behind the blog Orangette (another favorite of mine). Each chapter shared her passion for life and her passion for food. I had grand plans to make just about every recipe from her book, they all sounded spectacular. But like so many other things, the book got shelved and almost forgotten. 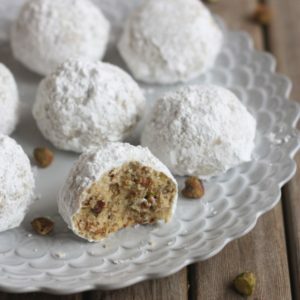 While searching for a cookie recipe to satisfy my craving, I remembered Molly’s chapter about Coconut Macaroons with Chocolate Ganache. I found the book sitting on the shelf where I had left it, waiting for me to find it again. 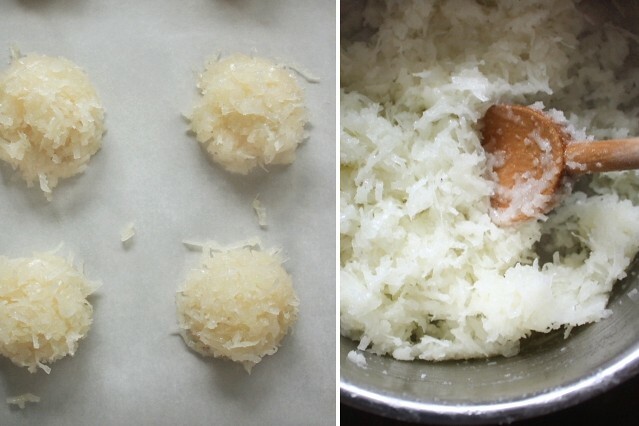 I had never made macaroons before, but the recipe seemed simple and straightforward. And since I already had a container of leftover egg whites in the fridge, it also seemed meant to be. 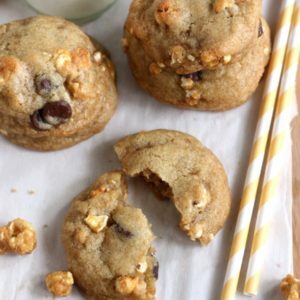 As a lover of all things chocolate and coconut (you may recall this recipe from not too long ago), these cookies are perfect. It’s just basically coconut and sugar baked together and drizzled with chocolate. Can’t get any more perfect than that. Just as a warning, these pop-able treats will disappear far too quickly. I couldn’t even wait for the ganache to set up before I dug in. I wouldn’t be surprised if couldn’t either. Put the coconut, sugar, and egg whites in a heavy saucepan and stir. Cook over medium-low heat, stirring frequently, for 10-15 minutes. As the mixture heats it will look very creamy, then slowly get a bit drier with individual coconut flakes becoming discernible. Stop cooking when it no longer is creamy, but still is sticky and moist. Remove from heat and stir in the vanilla. 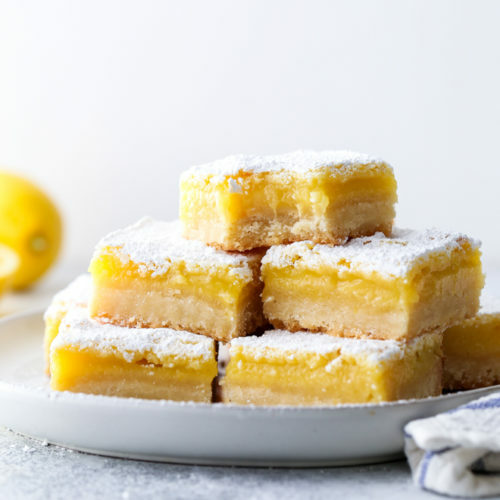 Put the mixture into a shallow dish and refrigerate until cold, about 30 minutes. 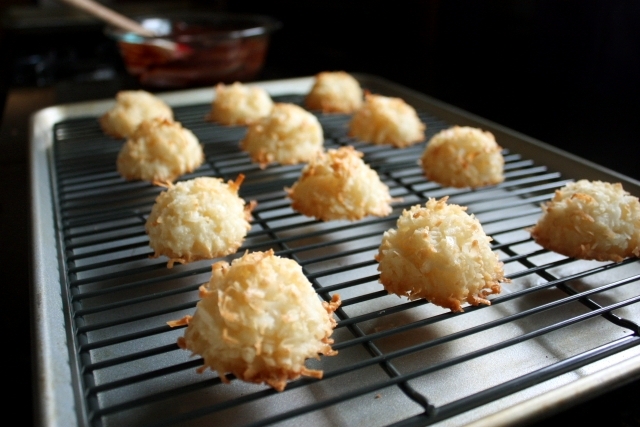 Using an ice cream scoop or your hands, scoop and firmly pack the coconut mixture into domes. Space them evenly on the baking sheet. 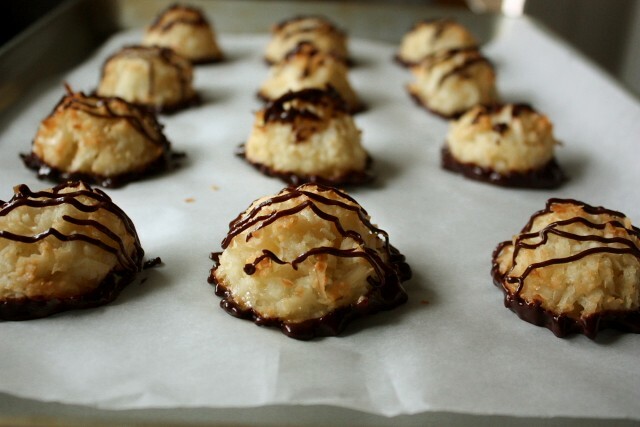 Bake the macaroons until evenly golden, about 30 minutes. Cool completely on the pan. Put the chopped chocolate in a bowl. Heat the cream in a small saucepan over medium heat, swirling the pan occasionally, until it is hot and steaming, but do not boil. Remove from heat and pour the cream over the chocolate. Let sit for one minute, then stir until smooth. Dip the bottoms of each macaroon into the chocolate ganache and return to the parchment lined sheet pan to set. 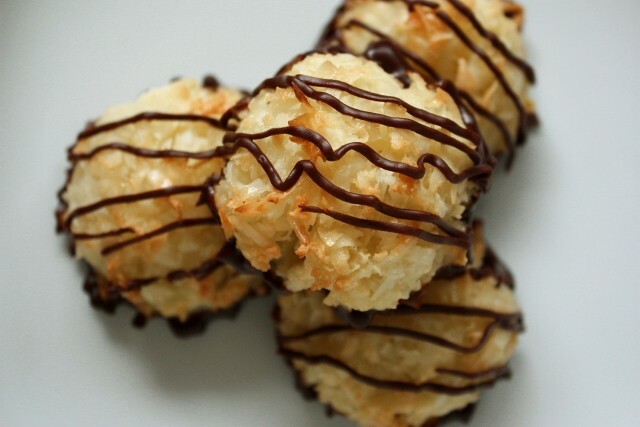 Drizzle chocolate over the tops of each macaroon. Refrigerate the macaroons until the chocolate is set, about 30 minutes. Store the macaroons in the fridge. They are best eaten within a few days. Recipe adapted from A Homemade Life. So pretty and elegant macaroons, fabulous.. 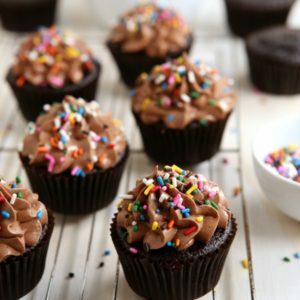 These look so lovely! Love the crispy golden bits! I've never made macaroons which seems a shame when they come out so beautifully like this! Perhaps it's due to my slight aversion to coconut, or at least an aversion I had when younger. I feel it's time to start anew! Beautiful little creations, my dear! I am a sucker for macaroons (and they are so easy to make for such a great outcome.) I will have to try with chocolate next time I use them. I love Molly's book. Love those cookies too! These look great! Love the photos! 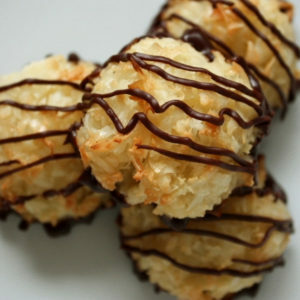 I have made coconut macaroons before with different recipes and this is the best one yet with great chewy cookies that have a lot of texture. Yummy! Hi Darlene! Yes, you can freeze these macaroons. For best results, I would add the chocolate later, after freezing and thawing.